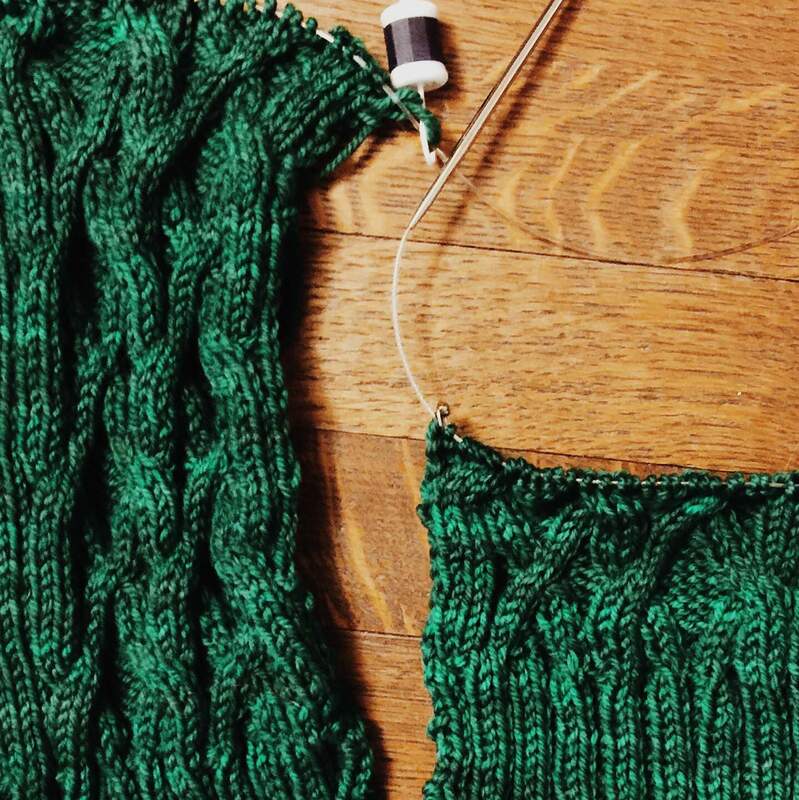 1-I've started both of Arlo's fronts, thinking that if I knit them together I'll be happier. 2-I've got a lot of ends to weave in at some point! 3-Reading ahead, it occurs to me I've made the same mistake I always do of thinking I'll be done once the pieces are knit. In reality, I have a lot of finishing work to do, starting with picking up mega-stitches to knit the button bands and collars. 5-Set in sleeves. I have not done this before. But I am determined. All this for my teenager, right? I hope he will appreciate it. He had better not plan on growing this winter! German short rows are easy and show less. There’s no picking up the wrap. I enjoy your blog! Thanks Mary Jo! I appreciate your support and am glad you like my blog!